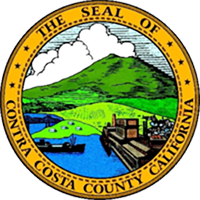 Located in northern California, Contra Costa County covers approximately 733 square miles extending from the northeastern shore of San Francisco Bay east to the San Joaquin River. With a population numbering just over one million, Contra Costa is among the top ten most populous counties and home to one of the State’s most diverse populations and fastest growing workforces. The County is seeking a seasoned professional who balances technical expertise with equally impressive leadership skills as its next Agricultural Commissioner. The individual selected will excel in developing effective relationships with diverse groups, and mentor a well-regarded and competent team. He/she will be innovative, persuasive and an outstanding communicator with a performance record of moving organizations forward. Qualifications include Bachelor’s degree and 5 years experience in agriculture regulatory work, at least 3 as a manager. Licenses as County Agricultural Commissioner and County Sealer of Weights and Measures are also required. Salary range is up to $159,830 annually and supplemented by an attractive benefits package. Closing date: Sunday, December 2, 2018. To download recruitment brochure and apply online, visit www.tbcrecruiting.com.